2 layers of 1000 individual pocket springs. 2 rows of hand stitched borders. Fillings - Horse hair, cashmere, wool and cotton. Cotton rich cover. Available in 2 tensions; medium & firm. 8 year guarantee Depth approximately 30 cms. 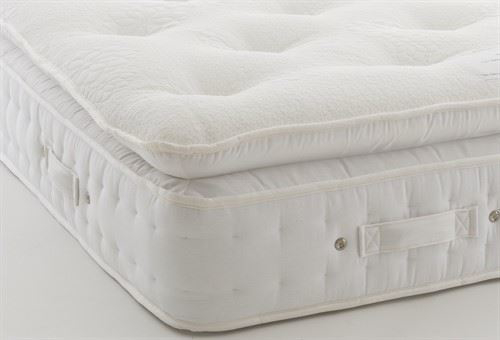 Easy care mattress with no need to turn. 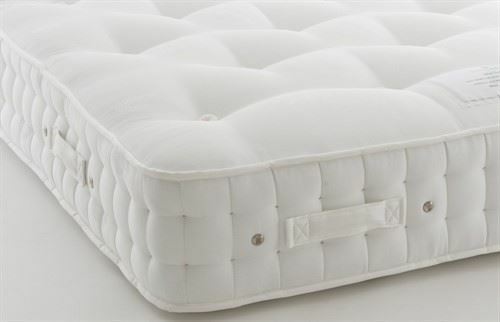 Comprises of a 2000 spring count mattress topped with a Pillowtop containing 1000 individual mini pocket springs. Mock stitched borders. Fillings include natural wool. 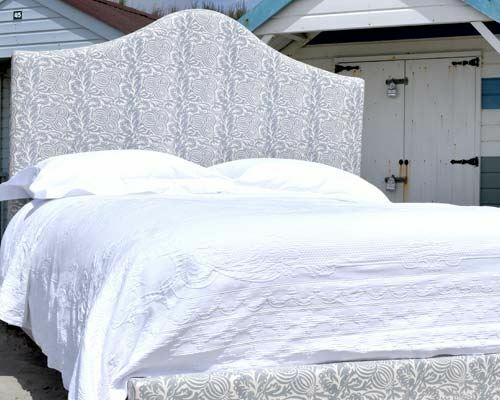 10 year guarantee Depth approximately 30 cms including the topper. 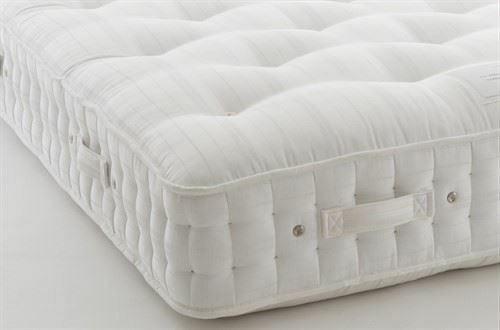 Easy care mattress with no need to turn. 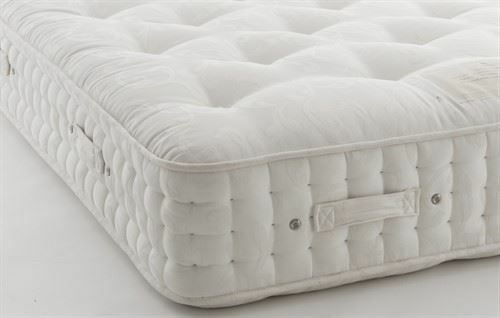 Comprises of a 2000 spring count mattress topped with a Pillowtop containing 1000 individual mini pocket springs. Mock stitched borders. Fillings include latex. 10 year guarantee Depth approximately 30 cms including topper. A 3000 spring unit sandwiched between 2000 mini spring pockets. Triple hand side-stitched with flag stitched handles & chrome vents. Fillings - a deep layer of Alpaca Wool with a rich cotton filling below. The Tufts are finished with wool collars. 11" plus caster Available in 2 tensions; medium & firm. 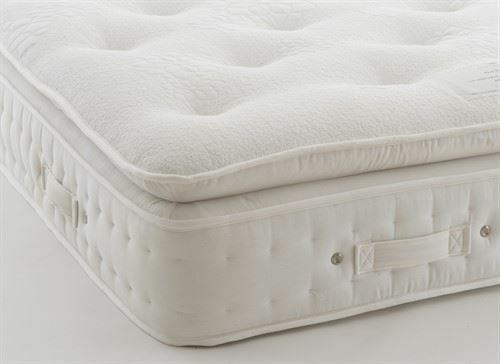 8 year guarantee The mattress depth is 35cm •Please note this mattress is also available with a 13" plus caster, please contact Head office for this option.